When looking to boost crop yields, farmers look to nitrogen-based fertilizers. While ammonia, urea and ammonium nitrate (NH4NO3) are widely used, most opt for anhydrous ammonia to boost nitrogen levels in the soil for maximum crop yields. Landscapers also use ammonium nitrate as a fertilizer, since nitrogen aids the process of photosynthesis. However, higher yields and greener pastures come at a very high price. Ammonia gas is colorless and has a sharp, penetrating odor. When used as an agricultural fertilizer, it’s compressed into a liquid, which must be stored in specially designed tanks strong enough to withstand internal pressures of at least 250 pounds per square inch (psi). When injected into the soil, the liquid ammonia expands into a gas and is readily absorbed in the soil moisture. Anhydrous ammonia must be handled with “kid gloves.” If the hose on the tank ruptures or a valve is accidentally opened, the high pressure from the tank can cause ammonia to spray into the eyes, face, and other parts of the body. Pressure is released and the liquid anhydrous ammonia quickly converts to a gas. When anhydrous ammonia comes in contact with any moisture, the water and ammonia rapidly combine — this includes moisture from the eyes, skin or mucous membranes. The ammonia will cause rapid dehydration and severe burns as it combines with the moisture of the body. Exposure to even small amounts can cause serious burning of the eyes, nose, and throat. Exposure to higher levels causes coughing or choking and can cause death from a swollen throat or chemical burns to the lungs. While the risk is ever present, there are measures that handlers can take to minimize risk. Protective equipment such as goggles, rubber gloves that are impervious to ammonia, and long-sleeved shirts can help guard against any contact with the substance. Gloves should have a loose fit so they can easily be removed in case of an emergency. Some experts also suggest an approved full-face respirator that combines eye and lung protection. Water is essential in reducing the harm caused by anhydrous ammonia. In fact, water can be a lifesaver. In case of exposure, first aid must be administered immediately, including plenty of water for flushing a person. At least five gallons of clean water should be kept in each tractor, transport vehicle, and field support vehicle, and at least one 8-ounce plastic bottle of water in your pocket to use until you make it to the water supply in the tank, tractor or truck. Possibly one of the best protections is General Liability Insurance from Prime Insurance Company. General Liability (or “Commercial Liability”) covers a business for bodily injury, personal injury, and property damage caused by the business’ operations, products, or injury that occurs on the business’ premises. When you consider the level of risk inherent in anhydrous ammonia, no handler should be without General Liability Insurance from Prime Insurance Company. Prime Insurance Company is an excess and surplus lines insurance carrier that specializes in providing solutions for medium, hard-to-place and declined risks. We have years of experience writing commercial and specialty excess and surplus insurance products. 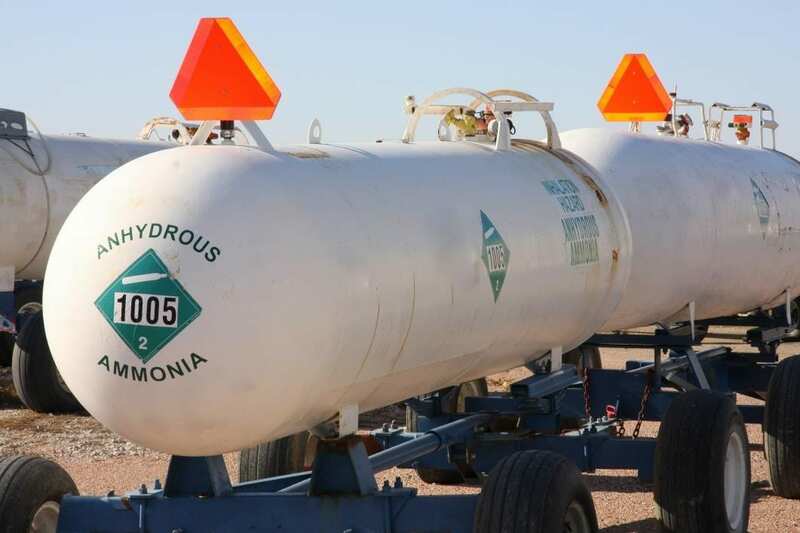 We evaluate your needs as an anhydrous ammonia handler and provide customized options for suitable coverage. Our proven partnership approach to underwriting, risk management, and claims makes us one of the most recognizable, memorable, and preferred carriers of specialty insurance. Bottom line — Prime Insurance Company gives anhydrous ammonia handlers the peace of mind they need to perform their job more securely. For more information about Prime Insurance Company, contact us.